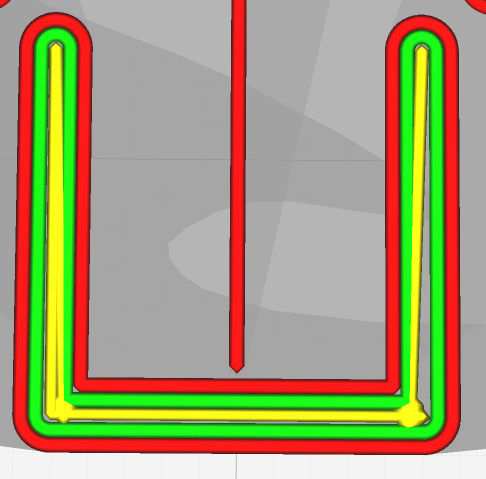 Cura seems to not deal well with walls that are an exact multiple of the Line Width. This is a simple object with 3 walls of 2mm thick. 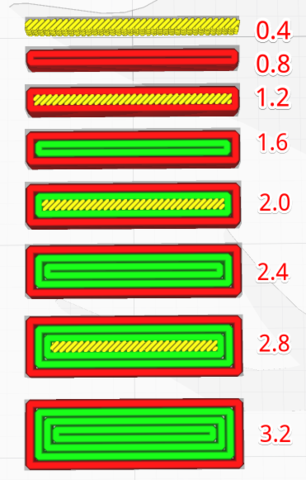 With a Line Width of 0.4 and Wall Line Count set to 3, it should just use 5 lines to fill the wall. But I shouldn't have to do that. 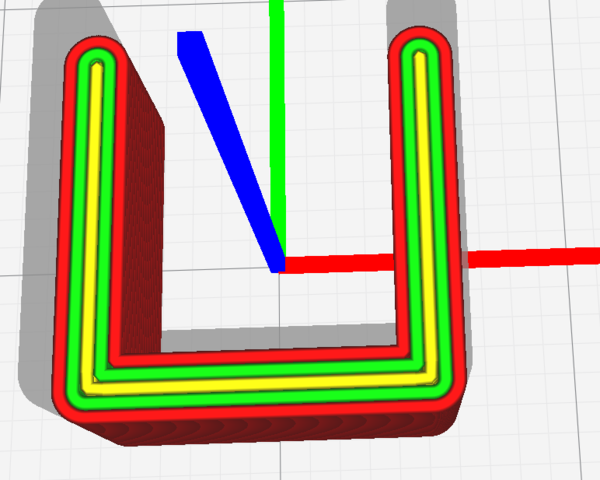 This is a rounding/calculation BUG in Cura. Also, printing a 0.4mm wall (for instance for creating custom supports) does not work. This is the same object, but I added a cross in the hole with walls of exactly 0.4mm thick. It now does not matter if I set the Wall Width to 0.4mm or 0.39mm. Cura doesn't want to print that as a single line. 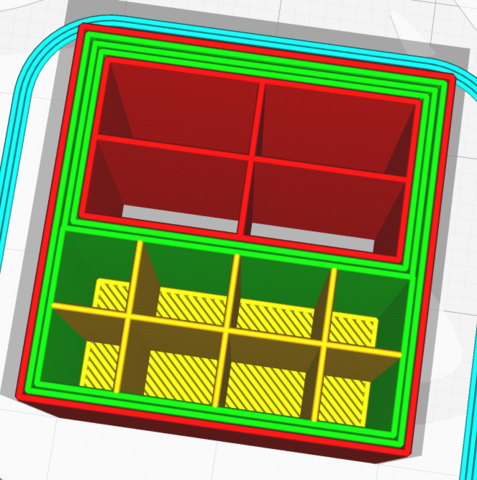 If I change these thin walls to 0.41mm this, Cura does print them as a single line. So here is the object with 0.41mm walls. And Cura set to 0.39mm Line Width. 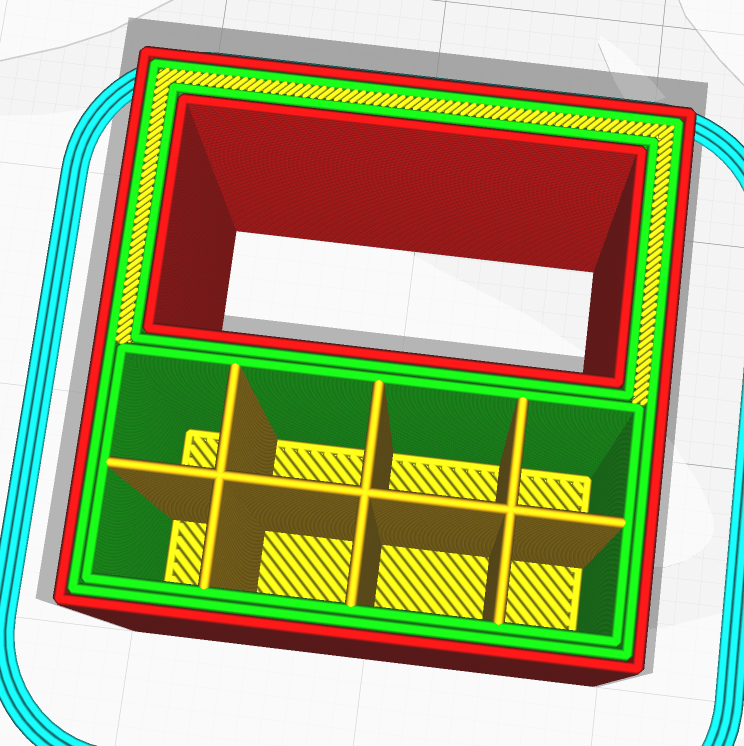 Again, I shouldn't have to do this to work around issues in Cura. That's true but, unfortunately, it is necessary right now. 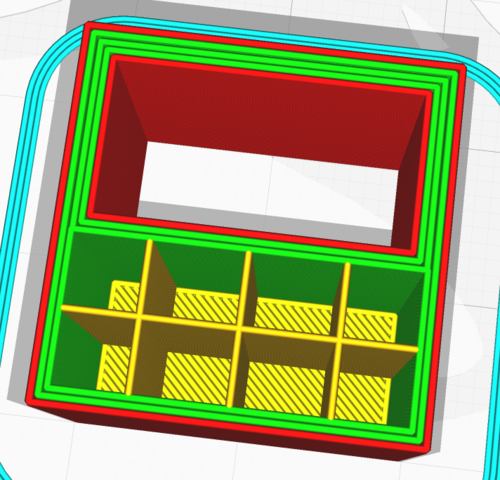 Cura doesn't really handle walls that are not an even multiple of the wall line width wide terribly well. And thin walls and the wall gap fill are also problematic for Cura right now. I am on mac, so cannot try out your version. Sorry, spoke too soon. 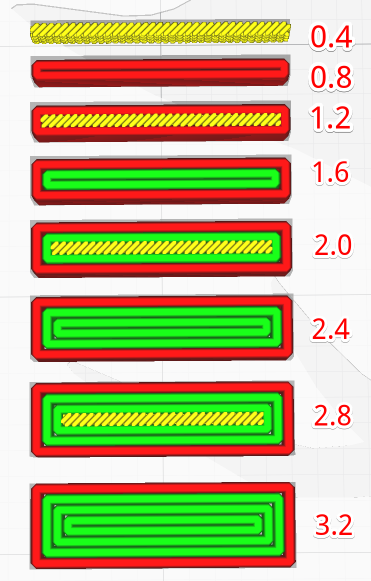 Seems like it has other weird issues (which do not happen when Line Width is set to 0.39mm). Yes, that's not good. Unfortunately, that OS X version is rather out of date now but I can't build a working OS X release anymore on my ancient Mac Book. If you could share that model, I could at least check my current implementation to see if it can handle that better now. It's still a work in progress. Thanks for the test object. 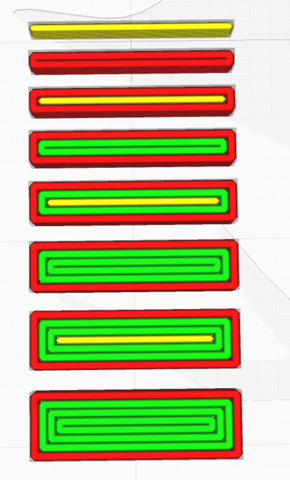 I am happy to say that my current release handles that OK. I am sorry that I can't make an OS X release for you. Anything I can do to help you build one? Maybe I can do the build for you? Might want to check if that is also solved in your latest release. That's a kind offer. 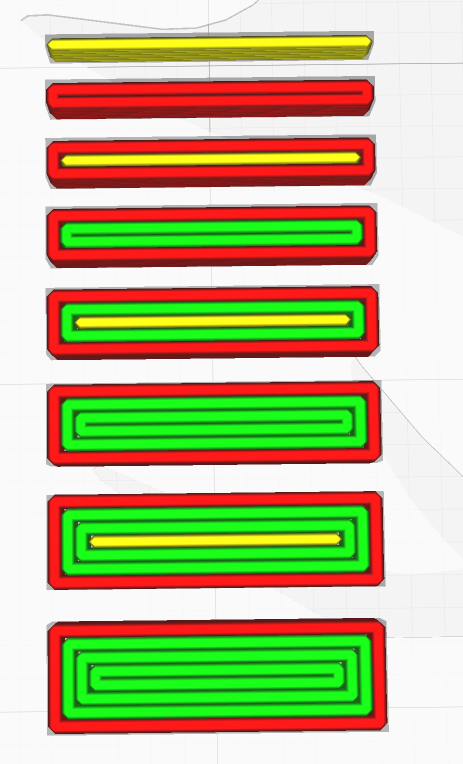 Building Cura isn't terribly difficult. 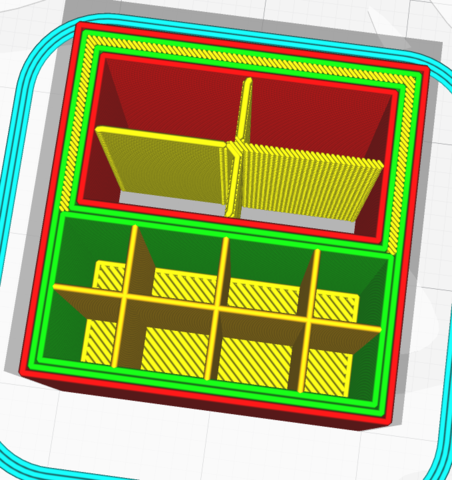 The best place to start is to clone Ultimaker's cura-build-environment repository (https://github.com/Ultimaker/cura-build-environment) and build that and then build the cura-build repository. If you can get through that, it's then a simple step to build my version. I don't mess with the UI so it should work OK.